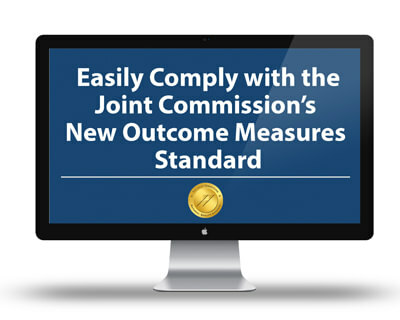 The Joint Commission has announced that all accredited behavioral healthcare organizations must start using outcome measures to inform clinical care by January 1, 2018. Unfortunately, quite a few of the treatment programs we’ve talked to recently incorrectly believe they’re already in compliance. The crucial element of the new standard that many programs are overlooking is the requirement that patients themselves regularly report how they’re feeling and that clinicians use this feedback to inform clinical care. Implementing a patient monitoring program is more complicated than it first appears. 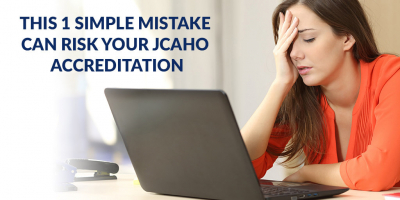 What academically-validated symptom rating scales are you going to use? Who’s going to be responsible for asking patients to take their next survey, and how are you going to ensure that the results are available to clinicians quickly and in an easy-to-understand format so they can see how their patients are progressing? What are you going to show to the Joint Commission to prove that patient feedback is actually being used to inform clinical care? And who’s going to periodically aggregate the results so you can assess your program’s effectiveness? It is certainly possible for smaller programs to comply with this requirement using paper surveys. For larger organizations or those whose staff are already operating at capacity, automation is the way to go. INSIGHT Addiction™ and INSIGHT Behavioral™ make compliance with the new Joint Commission standard easy. We collect data online from your patients, instantly graph the results for your clinical team, and alert clinicians to new reports. INSIGHT can even automatically text or email patients when their next survey is due. The Pro version of INSIGHT provides quarterly audits so you can show the Joint Commission that patient monitoring is being used effectively as well as a comprehensive annual report comparing your program’s results to national norms and previous results.